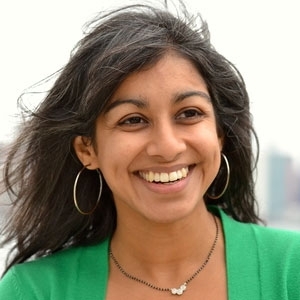 Sonali McDermid is Assistant Professor of Environmental Studies at NYU. Her research focuses on understanding how agricultural land-use has transformed our regional environments and climate. She uses a variety of methods, including global earth system models, crop models, and observational datasets. She has also undertaken large-scale assessments of the impact of climate change on food security and livelihoods in South Asia and Sub-Saharan Africa, and served as the Climate Co-Lead for the international Agricultural Intercomparison and Improvement Project. Her work strives to identify and contextualize the role of environmental preservation in food and nutrition security as she seeks an answer to the question: What really constitutes responsible, sustainable agriculture and how might we lessen our environmental impact while providing nutritious food for everyone? McDermid holds a Ph.D. (2012) from the Dept. of Earth and Environmental Sciences at Columbia University, specializing in Atmospheric Science and Climatology. She holds a B.A. in Physics from NYU (2006). Prior to NYU, she was awarded a NASA Post-Doctoral Fellowship at the NASA Goddard Institute for Space Studies (GISS) in NYC. In addition to her academic work, McDermid is also a passionate advocate for equity and representation in the sciences, and for evidenced-based policy and decision-making.